We are living in a world, where online transactions are no longer a trend, it has become a necessity. Every individual is using online services for buying the goods or transferring the money. OTP SMS plays a vital role to ensure authentication. It makes sure the user is entitled to avail the services. Single-time use identification digits are sent to the registered user’s phone number to use it for the particular transaction. There are three ways to channelize the OTP’s procedure. First is via Voice, then the second way is through E-mail, and the third one is sending SMS to the phone numbers. Due to the technical intricacies, voice and email procedures haven’t appeared with positive results, whereas, the SMS has accomplished to win the race. SMS is the most favored, simple, and reliable way to reach the customer. If we talk about the importance of OTP SMS in transactions, then we can get to know why it is the most convenient way for the providers. 1. This is the best way to check and to authenticate the user in a simpler way. Especially for the banking transactions. 2. Bulk OTP SMS does not take more than 30-60 seconds to validate the user. It becomes invalid, if the user forgets to put the given pin number in the given time. 3. As soon as any transaction happens, it notifies about the transaction to the user. 4. It is quite secure when it comes to sending the bulk SMS. It deters the criminals from receiving secret codes. 5. It is a unique mechanism where the user can regenerate the OTP and use it as per their convenience. OTP-One time Password is the way to get secure from the fraudulent activities and the scammers. Today, online shopping, and transferring the funds have become the day to day routine for the users. However, when it comes to monetary transactions, then safety and security becomes a matter of concern. Indeed, OTP is the astonishing ideation of the professionals, who have helped to tackle from the fraudulent activities and to protect the enterprise data. Have you ever thought about the numerical digits that just flashes on your phone everytime you create a new account or during bank transactions and wondered what is the need for it when you already have a password? Well, let me introduce you to the need of that numeric or alphanumeric string of characters that appears on your mobile phone during any kind of transaction. It is widely known as OTP SMS(One Time Password) and if I explain it in the simple language then these are the passwords that are used once and then thrown away. You might be wondering if they are meant to be thrown away then why to actually use them? But let me inform you that these OTPs are the one which provides an additional layer of security through two-factor authentication preventing malicious programmers or I must say hackers to get access to your confidential information as it expires after 30-60 seconds making it really difficult for hackers to get a hand on your sensitive data. A Bulk OTP SMS is more secure than your phone passwords which are typically weak. OTP’s are generally short and simple, they are secure, they inform you about your transactions and also confirm your online payments. There is also another aspect to it that is the TRAI(Telecom Regulatory Authority of India) introduced Do Not Disturb Services according to which companies cannot send promotional SMS on DND activated numbers unless the user opt-in to receive the SMS. Thus, the Transactional SMS came into the picture. 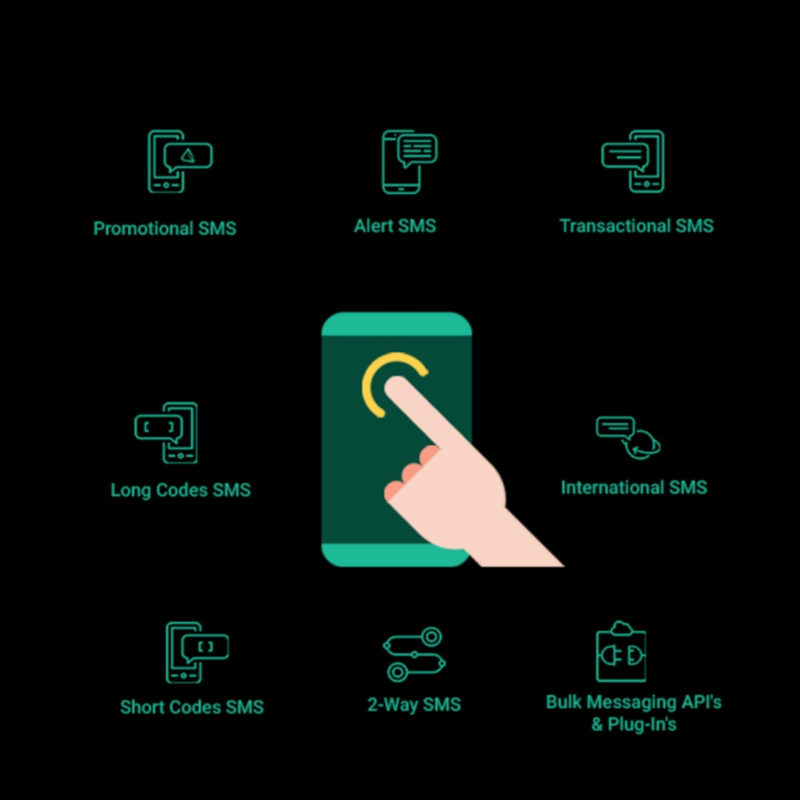 It is an SMS service for sending alerts, notifications, reminders to the customers who have opted to receive the SMS using OTP. Usage of OTP is not only restricted to the banking sector but it is also widely used to capture suspicious activities because when an OTP SMS is sent over SMS it allows the company to check the authenticity of a person who is requesting for the company’s services by making that person using his/her personal details to be filled in along with the OTP SMS that is sent by the company and if the person is a hacker then they might not know the personal details of a person and also they might not have access to person’s mobile phone on which OTP is sent. OTP SMS also prevents the sharing of credentials or reuse of the same password on multiple accounts and systems which is of high importance to any company. Bulk OTP SMS also plays a vital role in a situation where an innocent person who is not able to remember his/her password makes futile efforts to crack the password and is assumed as a hacker but in reality, this is not the case. From the above discussion, one thing is clear that OTP SMS Service is the easiest way to get your confidential information secured. At mTalkz the leading Brand Communication Company for SMS OTP service provider we care about your data’s security and hence provide you with user-friendly platform and integration, 24/7 customer support all at an affordable price.